Firefly lights are not just for Christmas! All year round these lights add glamour to your home decor - making areas sparkle with energy and light. Making a swirl bowl stand out, or a previously drab plant come alive. They are versatile and fun. 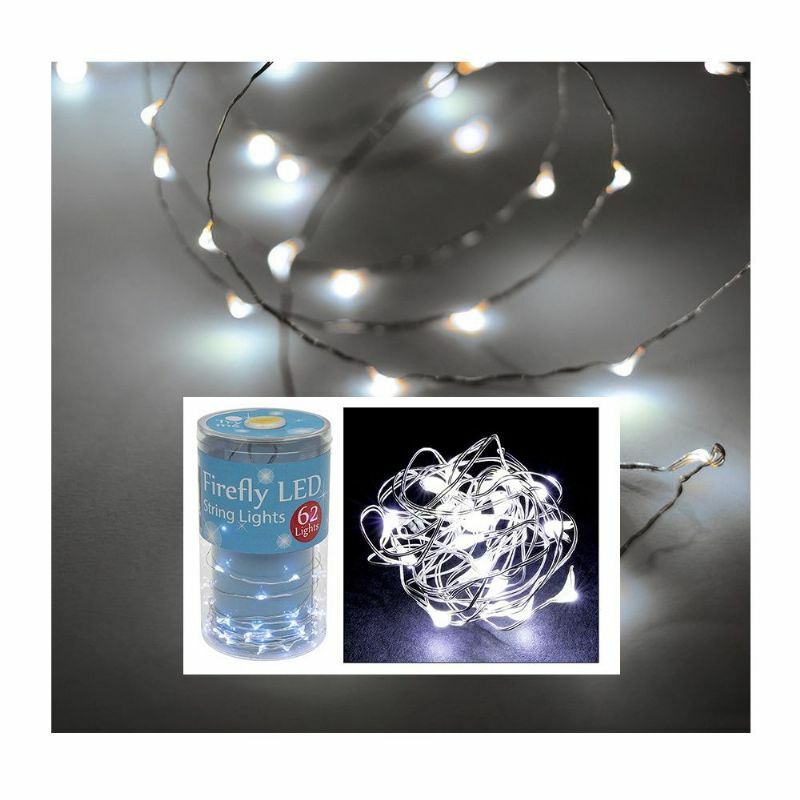 Festive, Decorative LED String Lighting - Can be used indoors or out. Firefly Fairy lights that takes AA Batteries, and as the batteries fade, the lights dim a little, so you know when the batteries are starting to need replacing. For all year round use. These will work for Christmas trees, across mantle, in vases or jars, over pictures - literally anywhere you want them. Clean lines and a tester button so you can test while putting in situ, pop the batteries in and discreetly place the small battery holder.